From spending a day lazing on the water to cruising around the lake with water toys, right through to a weekend fishing trip with your friends, the weather conditions are perfect to take your boat out. And whether you're a seasoned driver or this is your first time owning and operating a boat, everybody can benefit from a refresher on preparing their boat, and also preparing themselves and passengers for the water. With experience providing boat owners with the right products to perform a synthetic oil change, Synthetics Northwest has a checklist to help prepare your boat for the water. Check that all life jackets are in good condition and that there are enough for each person who will be on the boat. When checking your life jackets, ensure that each person has an appropriately sized jacket available. A child's jacket is not suitable for an adult. If there are any other safety items on board your vessel that are not on this list, be sure to check that each one is fully operational. Alongside these, if you notice that any of your fluid levels are running low, top them up before you leave, or replace them entirely. If this is the first time that you will be using your boat after cold-weather storage, perform a synthetic oil change prior to hitting the water to give your engine a fresh and prepared start. If you are unsure which engine oil is suited to your engine, don't take a guess. Speak with Synthetics Northwest at (503) 371-7184 to get expert advice and the high-quality products. If any of the above are present, consider replacing your propeller before you take your boat into the water. Damaged propellers can not only affect the performance of your thrust, but the vibration can also damage your drive train and cause serious damage. Ensure all of your gauges are working correctly and reporting the right information. In addition to the above, it's also a good idea to carry a box of spare fuses on the boat with you, in the event that something shorts out. Many boat owners believe that checking the exterior of their boat is for cosmetic purposes only, and neglect it. However, when you are driving through murky water, you are not always able to see and avoid debris that could cause unseen damage. 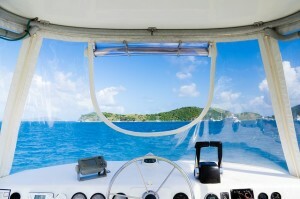 Set aside a good amount of time and thoroughly inspect the condition of your boat's exterior. One of the best forms of boat maintenance and preparation you can perform is a synthetic oil charge. A synthetic oil change provides your engine with a fresh coating of protection to encourage smooth operation. Not only can increase the performance of your engine, but it can also work to reduce engine wear and increase fuel efficiency. Speak with Synthetic Northwest at (888) 283-3580 and let an expert find the right motor oil for your synthetic oil change. If you know which product you need, you can order directly from our online store, or read more information about any of our available products.